I am back with a new bag. This one was a birthday gift for my niece, who is 7. The exterior turned out great! 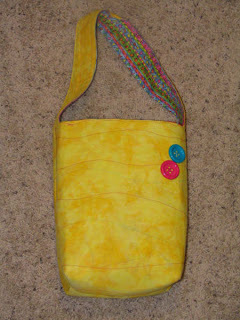 I quilted across the yellow with pale pink, blue, and fuchsia to match the lining, and it looked better than I expected. 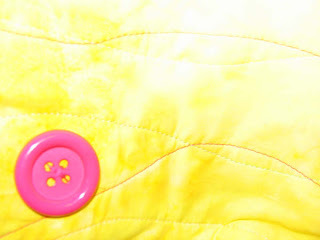 I added a couple of giant buttons to the outside, and made it reversible like the others. 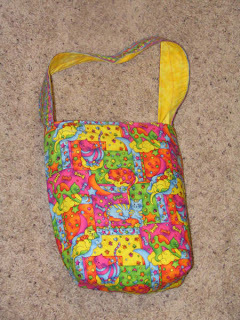 It is hard to tell in the picture, but the lining is brightly colored cats. I think it was a hit.